“With the light winds and the conditions we had today it would have been all too easy to make mistakes and be at the back of the fleet and so starting the regatta with two solid results is good way to begin. We are happy with the boat speed and aim to keep it this way but there is a long regatta ahead. 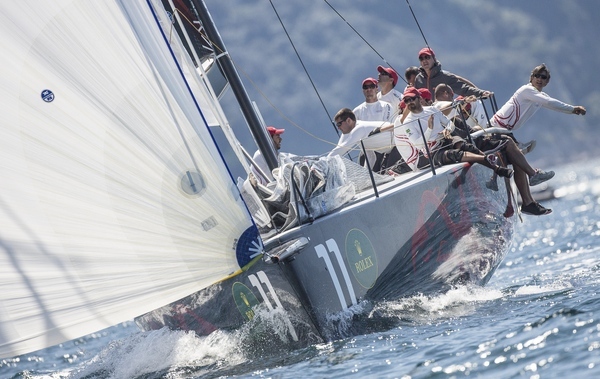 "The key today was having clean starts and a good set up off the line to make sure you are among the top of the fleet and then on the run, trying to play the left on the upwind and the right on the runs was important, how to get there in the best possible way was something which Vasco managed to do quite well. It has been a while since I started the boat (Francesco Bruni is absent here and is normally starting helmsman) but I have been practicing hard in these least days and so far I am enjoying it. “The first race (fourth place) was a bit of a disappointment Ed and the guys did some great work with two cracking starts, really, really nice. The first beat of the first race we finally got up to Phoenix and they tacked away and we went another 30 seconds and that was basically it, we overstood on the beat and speaking to my counterpart on Azzurra and he said we should have gone straight away and he is right, we should have gone. But we didn’t and we got around the top mark second and again a bit of jet lag, we did not play the first run properly. 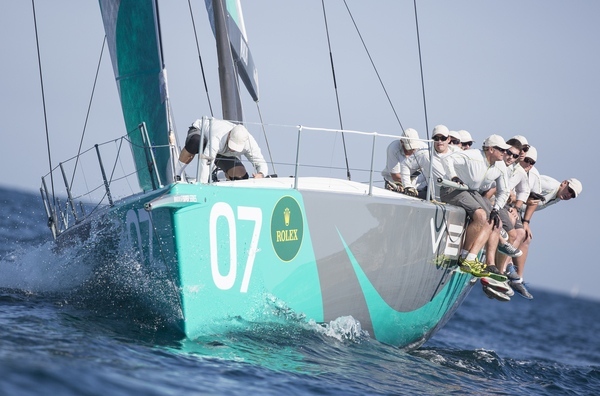 Azzurra did a nice gybe and rolled us and Ran got us both but we bounced back and won the next one which was good. 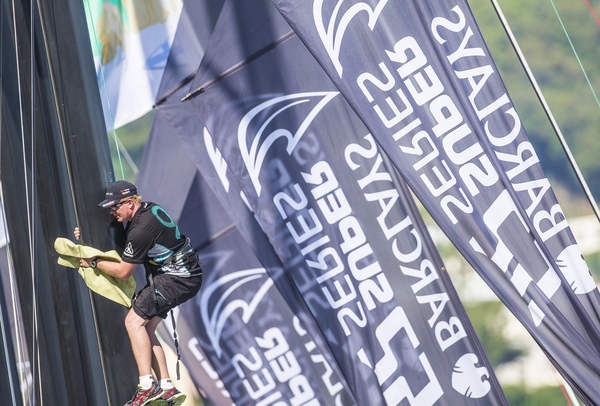 “It is the first time we have been part of the Barclays 52 Super Series and we had some fun with the breeze, it was a bit of a one way course and so it really came down to the starts and our owner Jim Swartz did a great job getting off the line in the second race, getting second and so that is a huge up from where we were racing in Miami where we were struggling a bit at times. "I think the flat water here makes a bit of difference and a bit of current is changing a lot. It makes Capri a pretty special place to sail. It was a cool race track with a lot going on. There were passing lanes, shifts current and then you come ashore to one of the best venues in the world to be in Capri at this time of year. 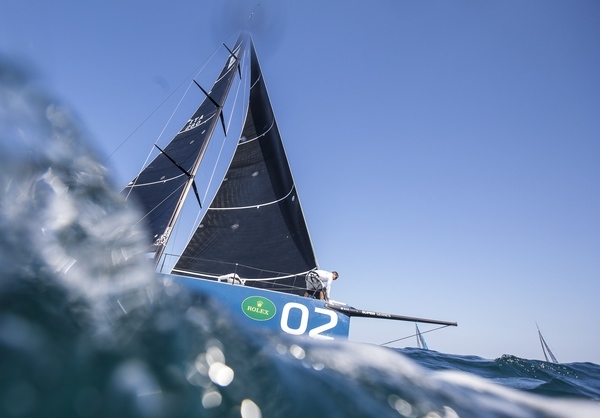 It was good to be pushing Quantum Racing, they are a class act, they are fast and so you have to be sailing well to be close to them. “It was such a fantastic experience. I never thought it would ever be like that, for it to be possible. But we made a very good start and got in a good position. We had a gift and I was so happy. It is an experience I am never going to forget.